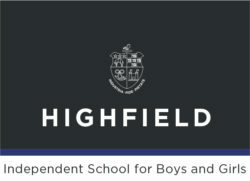 Highfield Pre-School is a leading independent nursery school in Harrogate for boys and girls aged 2-4 years. In our recent Independent Schools Inspection (ISI) we were awarded the highest possible rating of Excellent in All Areas. Our Pre-School establishes the foundation for a child’s future learning and it’s where a passion for learning and a love of life begins. We build on the important role of parents in developing children’s understanding of themselves and their world. Emphasis is placed on creative, interesting and structured play. In academic terms, children take their first steps in decision making, problem solving and communicating. Socially, they make friends and learn to show respect and consideration for others. Weekly PE, French, Music lessons and Outdoor Learning lessons are included in the fees. We are located in the Duchy are of Harrogate in a beautiful Victorian house with large airy plays, extensive private gardens and off-street parking. We also have access to a whole range of facilities at Harrogate Ladies’ College and Highfield Prep School. To find out more visit our website (www.hlc.org.uk/pre-school) or call 01423 437045 to arrange a visit at any time.